Does Your State Require Motorcyclists to Wear a Helmet? 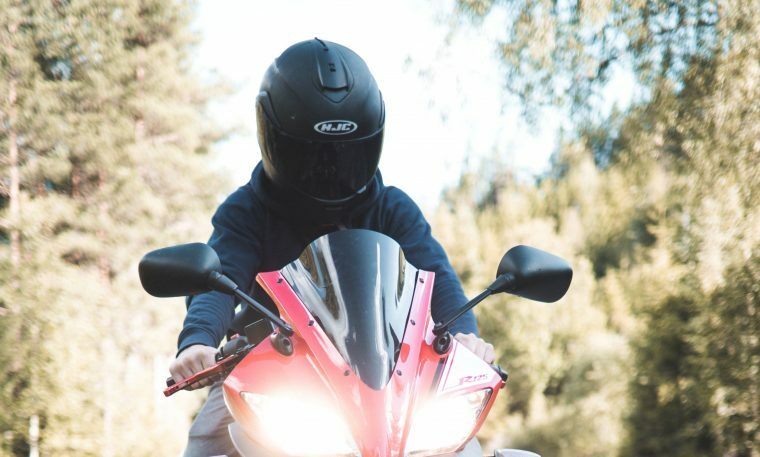 Despite the fact that helmets help prevent 37% of motorcycle deaths and 67% of brain injuries resulting from a crash, not every state requires motorcyclists to wear them. At The News Wheel, we recommend every motorcyclist wear a helmet to improve their safety. If you’re a motorcyclist, it’s important to know the laws about helmet and motorcycle safety. We’ve put together a list of each state’s helmet laws for licensed motorcyclists. Keep in mind that all helmets must meet the requirements set by the U.S. Department of Transportation. States marked with an * have exceptions to the rule, listed on the last tab. Alaska: All passengers must wear a helmet, regardless of age. Arizona: All passengers must wear a helmet, regardless of age. Delaware: If you are under 19, you must wear a helmet. All motorcyclists must have a helmet with them, even if they’re not wearing it. Florida: If you are over 21, you can ride without a helmet if you have an insurance policy exceeding $20,000 in medical benefits. Kansas: If you are under 18, you must wear both a helmet and eye protection. Kentucky: If you have had your motorcycle license for less than a year, regardless of age, you must wear a helmet. Maine: If you have had your motorcycle license for less than a year, regardless of age, you must wear a helmet. Michigan: If you are over 21, you can ride without a helmet if you have an insurance policy exceeding $20,000 in medical benefits and have passed an approved safety course/had your license more than 2 years. Oklahoma: All passengers must wear a helmet, regardless of age. Pennsylvania: If you are over 21, you can ride without a helmet if you have 2 years of driving experience or you have completed an approved safety course. Rhode Island: If you have had your motorcycle license for less than a year, regardless of age, you must wear a helmet. Texas: If you are over 21, you can ride without a helmet if your insurance plan covers medical treatment for an accident.